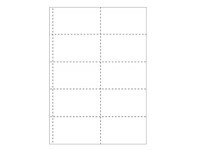 Badge paper with 10 badges on an A4 sheet perforated paper. Easy to tear and suitable for printing by any kind of laser and inkjet printers. Packed per 25 or per 100 sheets. 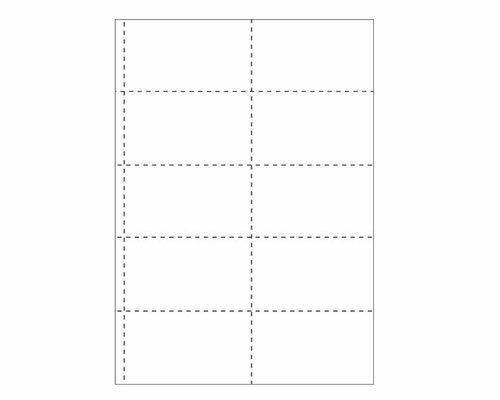 Badge paper, white, with 10 badges on an A4-sheet perforated paper, by which it is easy to tear off the badges. Badge size 102 x 62 mm, suitable for plastic badge holder 1054.93. 120 grs FSC papier (FSC = Forest Stewardship Council), suitable for any kind of laser and inkjet printers.